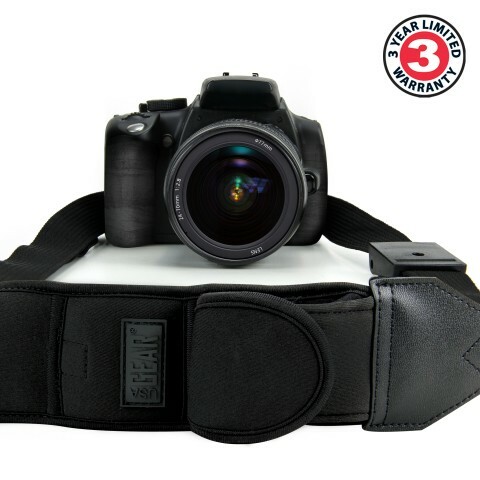 The DuraNeoprene shoulder pad provides extra comfort and stretch for comfortable carrying during extended use. 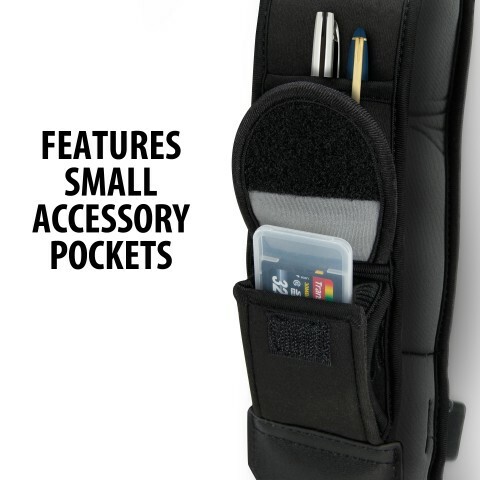 Built-in pockets allow you to carry your essential accessories while you're on-the-go. 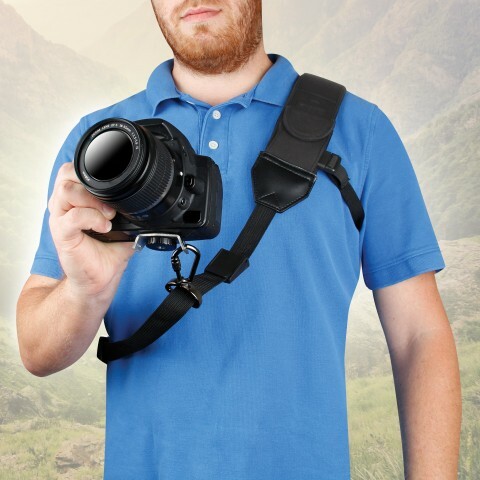 Carry your memory cards, lens cloths or cables in the small pocket. 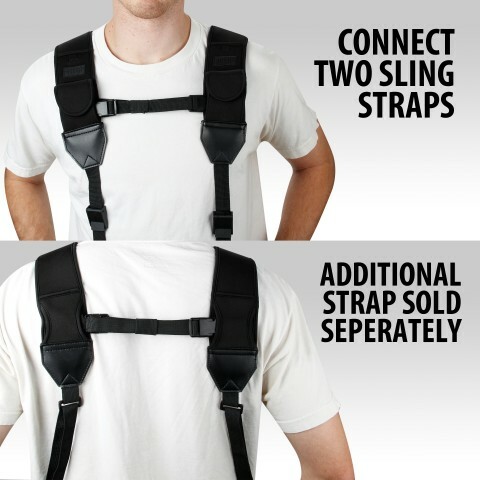 The stretchable elastic pocket can accommodate larger items like spare batteries. 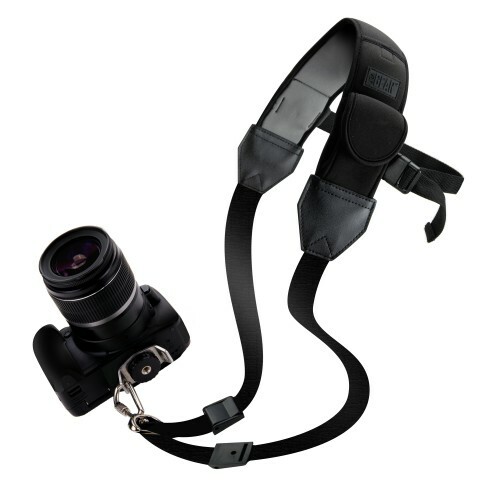 The sling strap utilizes a durable metal screw-in plate which attaches to the bottom of the camera's tripod socket. 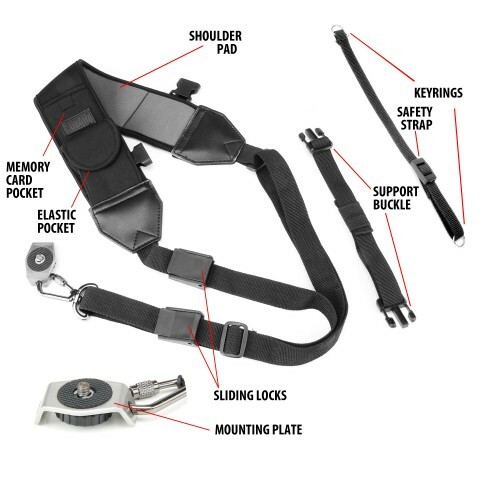 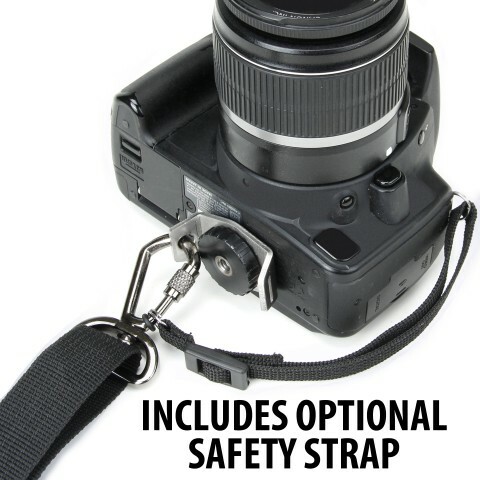 For extra security, an additional safety strap is included for the most optimized protection of your camera. 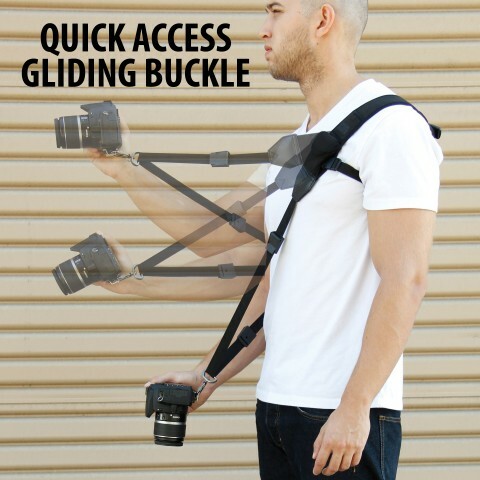 If you have multiple cameras, two sling straps can be combined into a double sling! 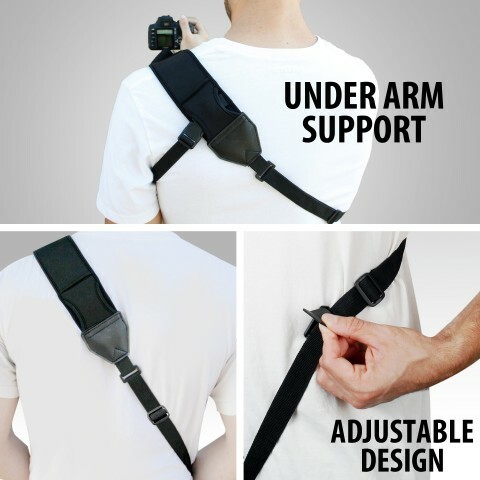 Attach a sling strap to all of your cameras and easily mix and match your configurations (additional straps sold separately).